• Have a sturdy octagonal base that matches your Omni and reduces the risk of your base stations being knocked down or tripped over. 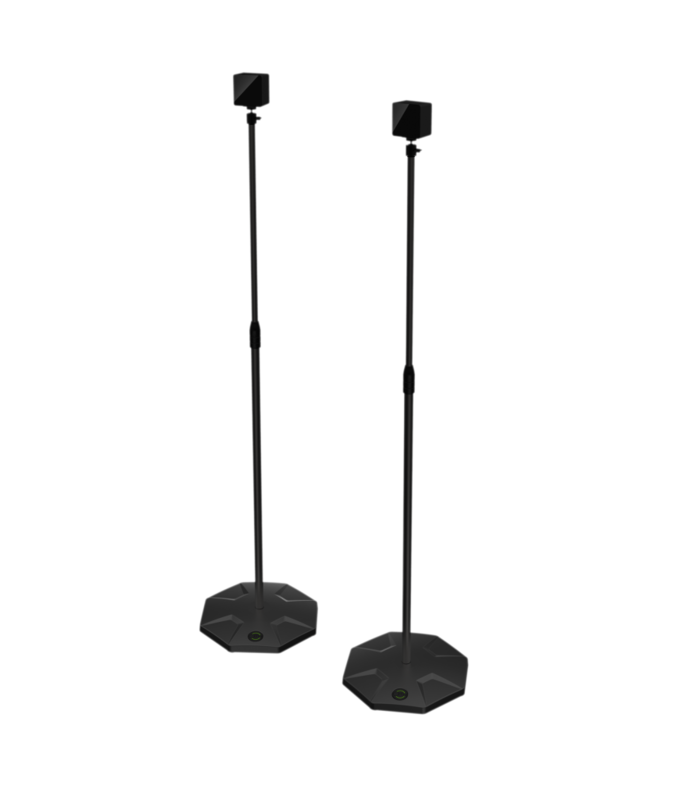 • Allow for easy and convenient placing or repositioning of your base stations in a variety of environments. • Include Velcro straps to guide your base station power cord and syncing cord alongside the shaft of the stand. • Easy to break down and transport. • Are height adjustable from 43” to 80” (109cm to 203cm).